At Blindster, we strive to make the research, selection, and ordering process for blinds and shades as simple as possible. Our website is set up to make it easy to find window treatments, add them to your cart, checkout, and have them ready to install in your home within a matter of days. But getting the perfect blinds and shades for your home requires doing your homework, as window sizes may vary from room to room. It’s also important to have an idea of the types of optional features and components you want in your window treatments before you begin the comparison shopping process. Decide if you want inside or outside mounted window treatments. The most important part of getting the right custom blinds and shades for your windows is providing us with the correct measurements, but that can’t be done until you’ve decided whether you want to mount your shades inside or outside of your window frames. Inside mounts are the most common and are preferable if your window frames have sufficient depth, but outside mounts are a great alternative if your window frames are shallow or if you want to cover up unattractive molding or woodwork surrounding your windows. Measure your window frames for the type of mount you’re using. When you add any of our blinds and shades to your cart, you’ll be asked to enter a variety of information before placing your order, including the height and width that you need. It’s vital that you provide us with the most accurate measurements possible in order for your window treatments to properly fit your window frames, block out sunlight, and be easily raised and lowered. Take multiple measurements of both the height and width of your windows in order to get the most precise numbers possible before you place your order. Browse our selection of blinds and shades. With precise measurements of your windows in hand, take the time to browse through our extensive selection of blinds and shades. Our individual product pages contain a huge amount of information about each item, including the available colors, components, and optional features, as well as pictures of the window treatments, minimum height and width requirements, and measuring/install instructions. If you have any additional questions about any of our blinds or shades, don’t hesitate to contact our customer service representatives to get more information. Order samples of window treatments that pique your interest. Once you’ve narrowed down your selection of ideal window treatments, make sure to order samples before you place your final order. Pictures don’t always do our window treatments justice—especially since they can vary among monitors, tablets, and phones—and samples are the easiest way to determine whether a color, pattern, stain, or finish matches your furniture and your home’s overall décor and color scheme. You can select up to 10 free samples from products in any category, including wood blinds, cellular shades, roller shades, bamboo shades, and Roman shades. Narrow down your choices and the features/options you want. Ordering the right window treatments for your home based on pictures alone can be difficult, but with samples in hand, you should be able to quickly rule out the colors, patterns, and materials that aren’t the right for your home’s décor. Once you’ve narrowed down your choices, you can further refine your list by determining which optional features and components you want. 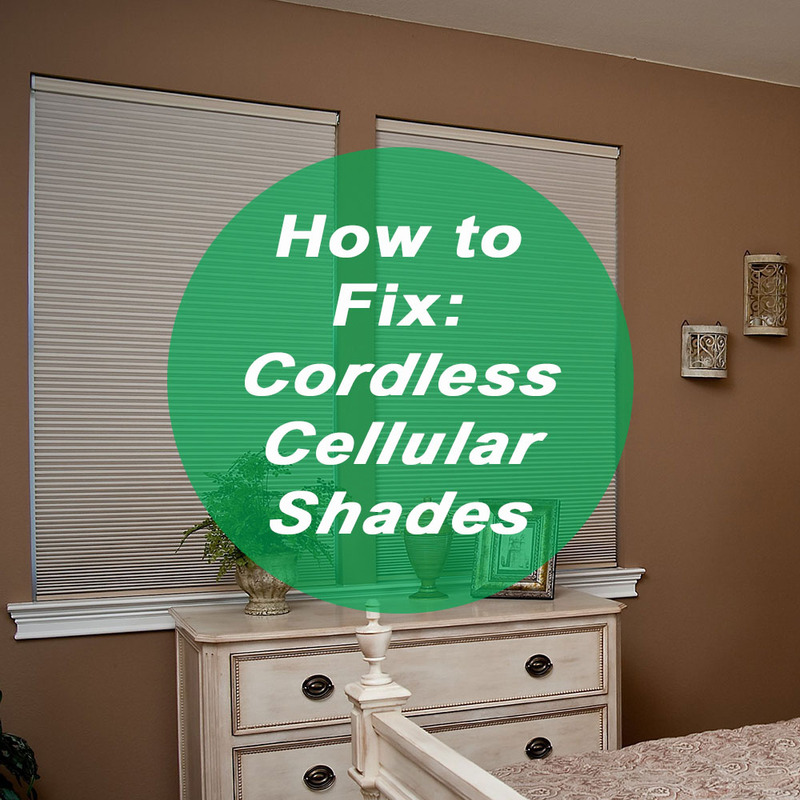 Things like continuous cord loop options, cordless options, blackout liners, top down/bottom up installations, and energy efficient materials can all vary from window treatment to window treatment, and using that criteria can help you decide on the right blinds and shades for your home. 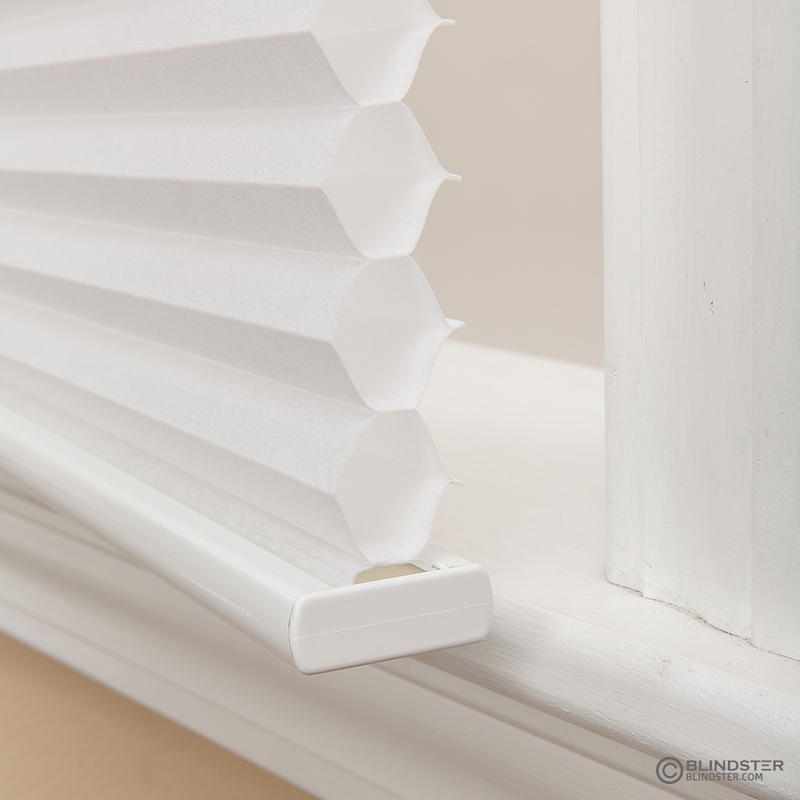 Add your preferred blinds or shades to your cart and select the size and options. Once you’ve settled on the perfect window treatments, add them to you cart by clicking “Customize and Buy.” The next page you see will be the customization page where you will be able to input the height and width you need, the color you want, and select from a variety of extra options, including the mount type, headrail type, lift type, fold style, and liner type. If you have questions about any of these options, simply hover your mouse or click on the question mark icons next to each option category. You can also select the quantity of blinds you want to order and add notes for our customer service representatives. 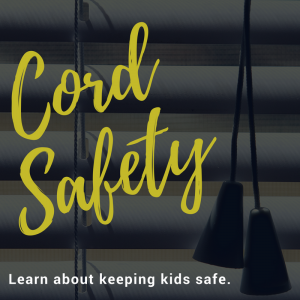 Our blinds and shades are built to last, but accidents can happen when you least expect it—especially if you have small children or pets. Whether your new shades get stained or ripped, or your new blinds crack or break, our 10 Year Accident Protection Plan will give you peace of mind for the next decade. It covers virtually all damage that can occur to your window treatments and means that you get free replacements or repairs. But in order for the plan to take effect, it must be purchased at the same time your original order is placed. It’s an easy and inexpensive way to protect your investment—especially if you’re outfitting your entire home with new window treatments. 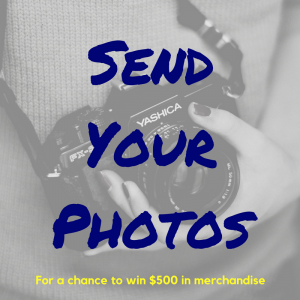 Complete the checkout process by creating an account or continuing as a guest. 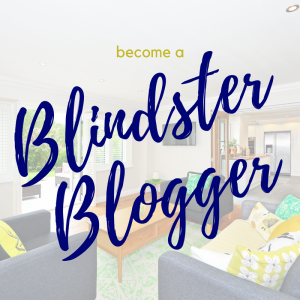 Creating an account with Blindster makes it easy to purchase more window treatments down the road, as we’ll save your information and have it on hand as soon as you’re ready to buy your next blinds or shades. But if you don’t want to create an account, you can also check out as a guest. Simply enter your billing information, including your name, address, contact information, and credit card number. 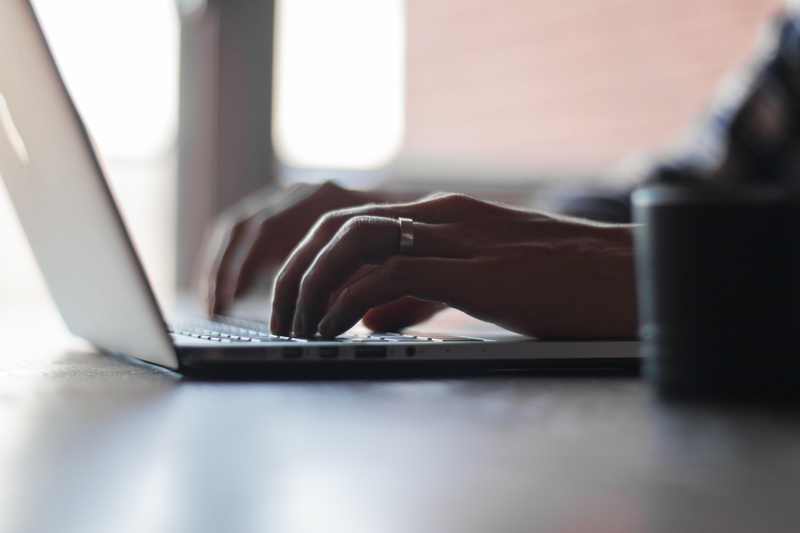 We’re GoDaddy.com and Authorize.net verified, which means we use the latest and toughest security standards to protect your information. Purchase from us with confidence and know that we keep our customer’s billing information and credit card numbers 100-percent private and secured at all times. where do I insert the “Code 45” coupon code at check out? When you are in your cart prior to checkout, on the right hand side there will be a box that asks about our Accident Protection Plan and then directly below that there will be a blue box asking for your promo code.